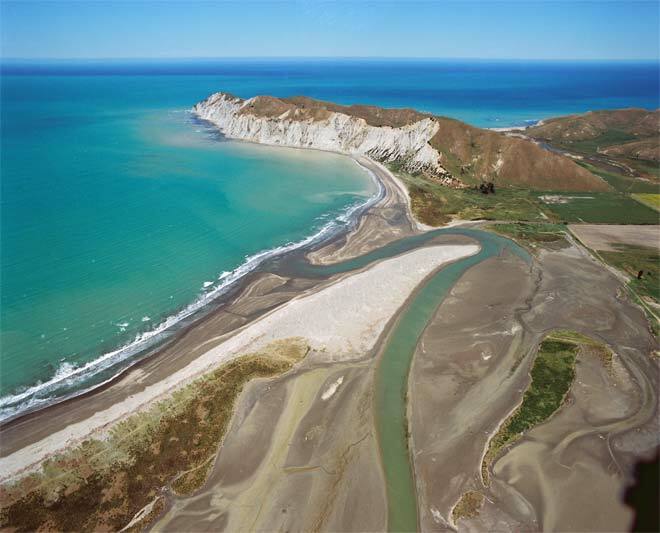 This prominent headland, 27 km south of Gisborne, is a significant place for Tūranganui-a-Kiwa tribes. Its name, Te Kurī-a-Pāoa, means ‘the dog of Pāoa’: Pāoa was the captain of the Horouta canoe. Later, Captain James Cook named it Young Nick’s Head, in honour of the cabin boy who first sighted land from the Endeavour. In 2003 there was an outcry when an American purchased the headland. Subsequently, the cliffs, a pā site and the peak were placed in public ownership.